We are a leading service provider for the Oxy Fuel Cutting. 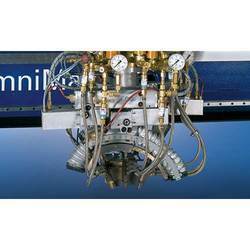 We are engaged in providing an excellent quality service for Oxyfuel Cutting. The offered cutting service is rendered by our professionals using best grade of tools & technology. Our cutting service provides smooth, vertical planes of cut & gives best cutting. We are offering this cutting service within a given time frame to customers. Looking for Oxy Fuel Cutting ?